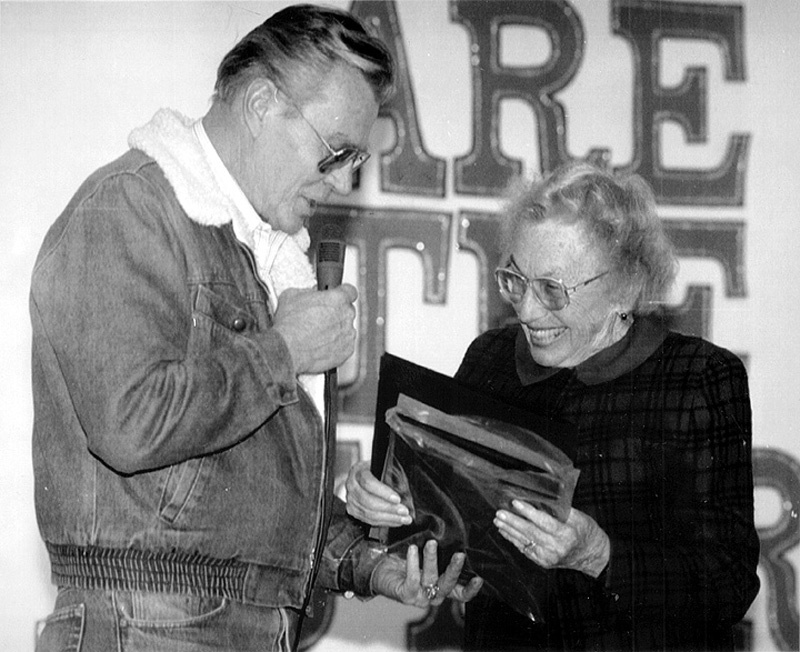 Feb. 10, 1993: Jerry Reynolds presents the Santa Clarita Valley Historical Society's highest honor, the Founders Award, to Ruth Newhall, at the organization's volunteer recognition dinner for 1992, held at Valley View Community School, 19414 W. Sierra Estates Dr., Newhall. It was a column by Ruth in The Signal newspaper, which she owned with her husband Scott, that inspired the formation of the Historical Society in 1975. She later served as Historical Society president. Ruth and Scott Newhall, veterans of the San Francisco Chronicle, purchased their namesake newspaper, The Newhall Signal, in 1963. For the next 25 years they recorded — and influenced — the goings-on in the Santa Clarita Valley as the area grew from a sleepy L.A. backwater into a self-sustaining family community.